Yes, it´s that time of the year again: Fashion magazines are overwhelming us with short skirts, dresses, open toe pumps and of course the latest trends on prints on fabrics. When I look at my closet at the moment it´s rather bursting with cashmere V-necks, wool coats thick knitted snoods rather than with this summers key-pieces. Especially when you live in an area that could still see the last snow flakes fall around March or even April, your spring clean-up usually starts when other cities are already glowing in the sun. So now you need to be quick and I have tried to put together an easy step-by-step guide to get your wardrobe spring ready! The first step is the obvious: Get everything out of your closet and give it a good scrub before you put away (almost) all your winter clothes. I like to keep my lighter cashmere cardigans in my summer wardrobe as I start feeling chilly easily during the cool summer nights, and nothing looks so cosy and chic when you gather around a BBQ. All other winter stuff is getting boxed up in my IKEA card board boxes with of course some moth-balls and papers. Nothing is more shocking to see than a hundred little holes in your favourite dress so take care of your clothes when putting them away. 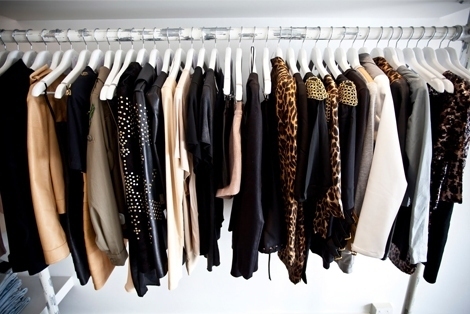 In general all clothes should be stored in a cool, dry and dark place to prevent them from losing their colour and to keep them staying in shape. You can always find cheaper versions of boxes at www.ikea.de and the posher ones at KARE, Muji, Kokon, Impressionen and even vintage stores. Old chests can easily decorate your room and be a home for all your winter shoes. When I box my winter clothes up I often stumble upon pieces I´ve not worn this winter, probably because I´m not feeling comfortable in them anymore, I have either been buying lots of new stuff or simply gotten tired of seeing them. The radical conclusion is to sell them all because it´s fairly unlikely that I´m gonna love them next winter. If you are less strict or simply can´t say goodbye to that special jumper you have worn on a certain date, make an extra box and store them for another year, but then say good-bye for good! This is also a great opportunity to get a bit of money in for the long awaited Spring shopping spree, and you can feel less guilty when shopping for new pieces. Cut out magazine pages! Make collages! Have a play onwww.polyvore.com, www.pinterest.com, www.tumblr.com ! Watch all fashion shows on www.vogue.com! Simply get creative and aware of what is outside, cool and new in the fashion world. A great source of inspiration for me is reading non-german fashion blogs as we all know that fashion and trends are perceived differently around the world. 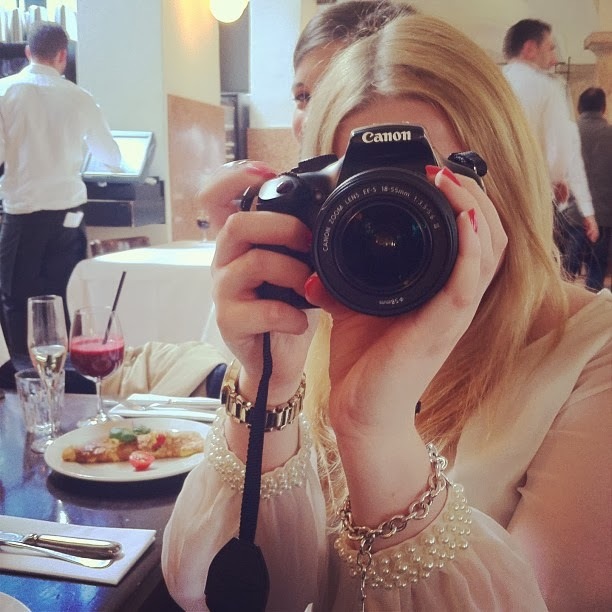 Here are some UK- Manchester blogs that are also going to join me on my Fashion Week adventure, so enjoy some other-than-Munich-inspiration! Now you are probably trying on what´s left in that big pile of summer clothes, or getting the boxes with the letters " SPRING " or "SUMMER" out, and that can turn out to be the really frustrating and a hard part of the clean up: Your legs are pale, the skirts don´t fit properly, the dresses seem a bit smaller than last year and suddenly you realise that all these cookies around christmas time have left the odd pound around your hips. So don´t cry! With the first days outside, going to work by bike or having long strolls around the park, then these will go away naturally. Or you simply hit the gym for a couple of weeks. Pieces that really are too small should be thrown in the "maybe-next-year-box" because nothing looks worse than women wearing clothes that are not fitting at all. What you have now put back in your closet is the essence of Summer that is fitting you, but is probably a bit last-season! 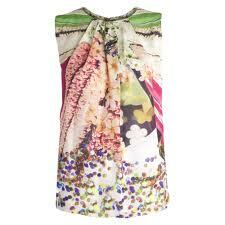 Even if you have the classiest of wardrobes, you might still want to go for a bit of colour or trend pieces. 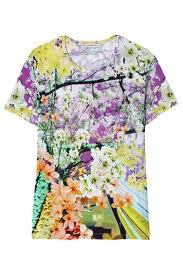 And buying trend pieces doesn´t mean spending your months worth of money on a Mary Katrantzou it-piece you will never wear again. Look for something sustainable with a twist: good quality ( leather, linen, organic cotton, silk ) and a classy design that is yet surprising. The most important thing is to feel comfortable and fashionable at the same time, and finding your personal signature on the looks you are wearing. Accessories such as bags, glasses and jewellery can be an easy way to incorporate trends without having to change your whole way of dressing. Some people might find it unnecessary, but having a good system can come in pretty handy when you want to avoid nervous "I have nothing to wear" breakdowns every couple of weeks. When you are dressing very formal for work and have different style in your free time a good advice can be splitting it up between work and leisure. As long as you are a student or have very interchangeable pieces, the best is to divide it up by colour and create little sections for dresses, pants, blazers, shirts and jumpers. When it´s a dark and rainy day and I feel like wearing all black I know where to look, and if I decide to wear bright yellow I´ll find all my coloured shirts in another corner. A pair of my high heels are stored in my closet to always have a pair ready when I try new looks. All my basic pieces ( the ones I can throw on and feel good ) are in the middle of my closet to make an easy pick in the morning and then decide on the accessories around them. It might require a bit of discipline to follow through the routine of closet cleaning, discipline that I truly very seldomly have, but it´s definitely worth having a clean closet once or twice a year !